"30 years experience in Chang Gung Craniofacial Center"
.●..Dr. Chen, Chi-Wen will host this seminar and serve all doctors with no registration fee. 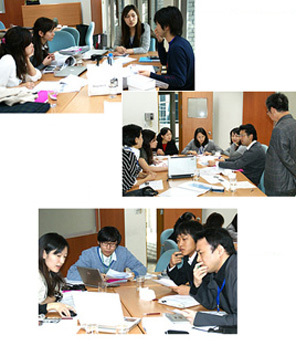 ........young orthodontists are gathering and divided into 2 groups for discussion. .●.. 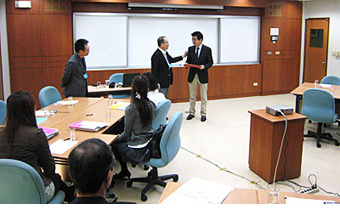 Deliver certificates to participants by Professor Ito during closing address section. 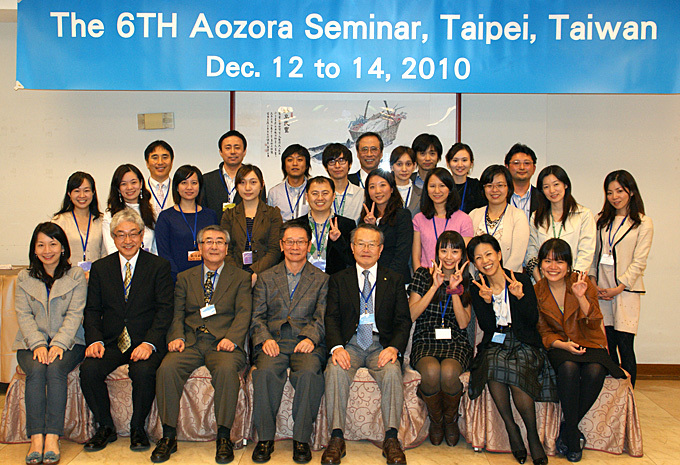 .....This was my first time to attend the AOZORA seminar. In the beginning of the welcome dinner party, I felt very nervous because I had no experience of attending the international meeting and talking in English to many foreigners. 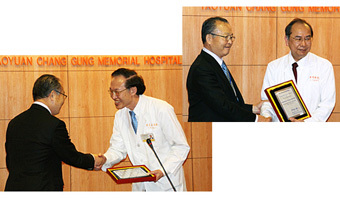 But after chatting with Japanese doctors, I found they are all very nice, polite and warm so that I became easier. .....The group discussion and case presentation were helpful for us. Every orthodontist shared many experiences and gave some opinions of orthodontic treatment to us. Besides, they taught us Japanese culture which was very interesting and attractive to me. And I was also glad of taking them to night market and tasting Taiwan's food. 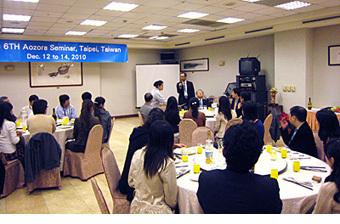 Most of them changed their impression of “stinky tofu”. We all had a lot of fun! 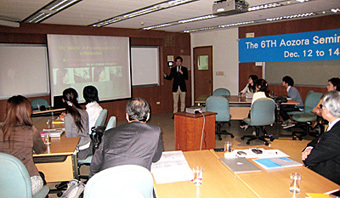 .....Although this seminar was only held for two days this year, I learned a lot from Japanese and this seminar. I was sincerely honored of meeting all of you! And I will never forget the two days forever! .....Hope that I will have a chance to attend the AOZORA seminar next year!